Let’s face it, they’re out to have a good time, not stand in a line! Don’t let your customers walk out on you when the solution is so simple.TableTime. 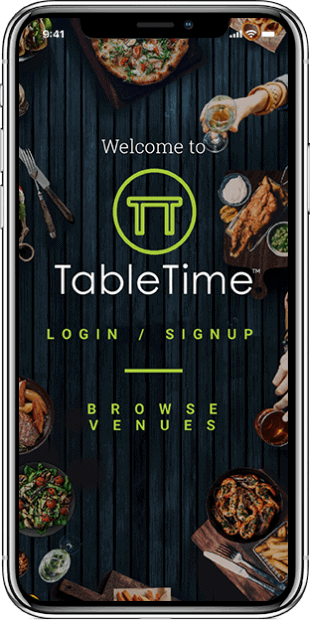 The app that allows your customers to browse a menu, order and pay all from their seat at the table. We make ordering easy, so your customers get the most out of their experience. Unlike other food ordering apps, signing up is easy and FREE!